ABTech is a manufacturing company that takes pride in precision; meaning they have a natural desire to do their very best on every task. This focus, combined with their in-house expertise translates into an unmatched ability to manufacture they’re made in the USA products. Abtech designs and manufactures metrology solutions for optics, aerospace, automotive, bearings, aviation, energy, land & marine and semiconductor industries. They offer metrology products for engine assembly systems, form measurement, rotary motions as well as custom designed solutions. 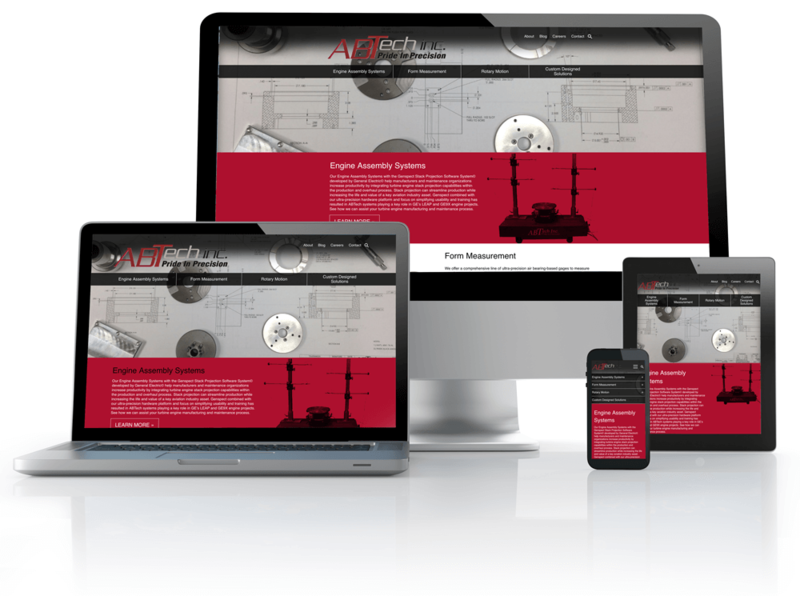 ABTech had outgrown their old website. They were undertaking a new sales and marketing strategy and wanted to get their website in line to support those new initiatives. A decision had been made to shift focus to several key products lines and discontinue others. While their old website was mobile-friendly, they wanted to improve the look of their site to be sure it was people-friendly on all mobile devices to ensure their customers could contact them easily. Paragon’s Web development team worked with their marketing team to come up with a revised sitemap and page layouts that supported their new direction. Paragon helped to guide them through the design process that would culminate in a new custom coded WordPress theme that showcased their products and solutions.